This cake topper measures 5" W x 2 1/2" D x 3" H. Lift the rock to reveal a fossil. 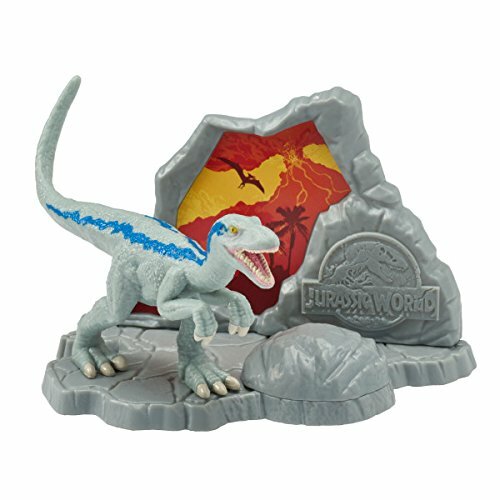 Blue, the dinosaur, is a figurine and can be fun to play with after the party! Officially licensed product. This cake topper measures 5" W x 2 1/2" D x 3" H.
Lift the rock to reveal a fossil. Blue, the dinosaur, is a figurine and can be fun to play with after the party! If you have any questions about this product by Bakery Supplies, contact us by completing and submitting the form below. If you are looking for a specif part number, please include it with your message.